Investors use the word ‘unicorn’ to describe start-up companies valued at over a billion US dollars. When applied to the potential for personalised clothing, the metaphor of this fabulous animal scores a bull’s eye – or rather a unicorn’s horn! 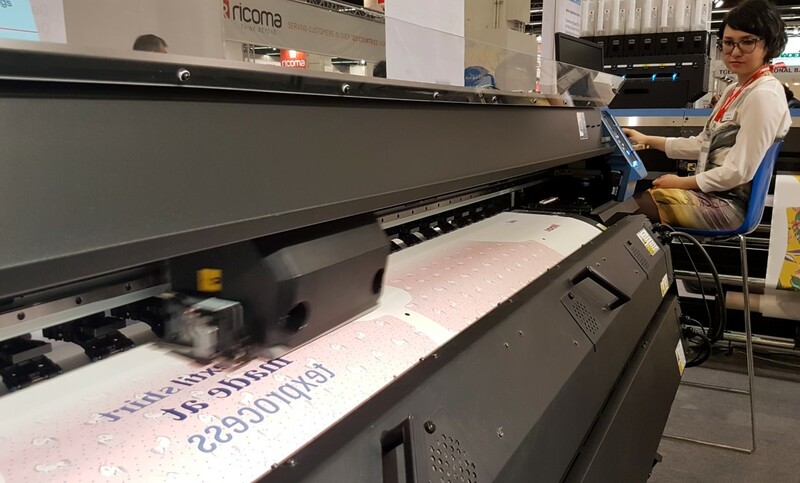 Actually, Texprocess, the leading international trade fair for the garment manufacturing and textile processing industry, which is held in parallel to Techtextil, has its own blog . 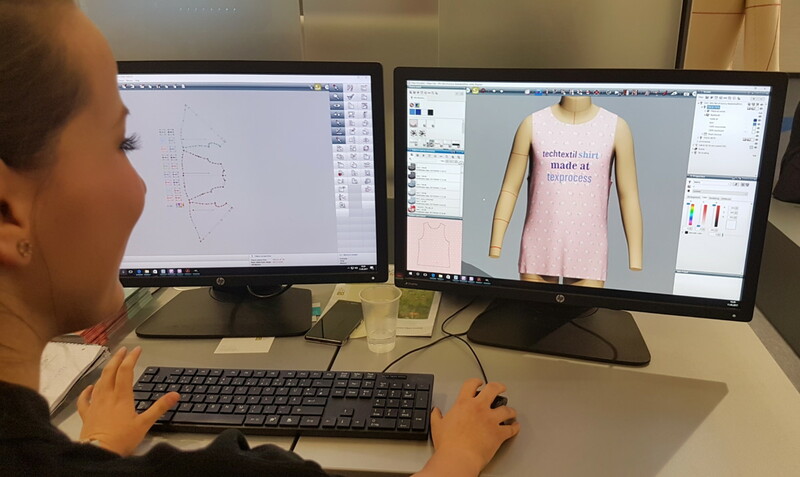 But we didn’t want to miss out on the ‘Digital Textile Microfactory’, which enables clothing to be made according to individual, personal wishes. The key word here is ‘customising’. So we had to dig around in our memories of old James Bond films – and find a way to slip secretly into the Texprocess exhibition. The proof of our successful incognito infiltration of fibre – and proof that Bond can pack his bags – can be found in the headline picture above. Over an area of 300 square metres, the micro-factory showcases the fully networked production of clothes that are personalised according to the requirements of the individual customer – from the initial request for an (oblique) design to the garment’s being printed in an inkjet process, then cut out and sewn together to produce the finished article – a personally designed item of clothing; in our case, a basketball shirt. Fibre Research (Deutsche Institute für Textil- und Faserforschung) in Denkendorf. “It provides an example, in miniature, of engineering that permeates all the way through from the virtual world to real production.” And, so it is finally true that unicorns can become real! Very many thanks to the macro-friendly micro-factory operators on site, who have made it all possible – and without blowing our cover!